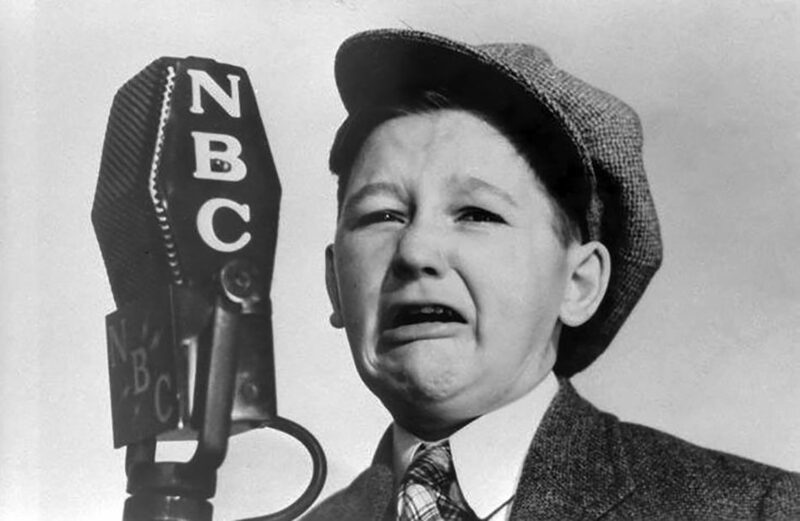 "Walter Tetley in Audition Program of Kid on The Corner"
A little over 100 years ago, a boy was born in New York City whose fate was to never grow up. Tragically, especially among the urban poor in the early decades of the 20th Century, many boys were fated to never grow up as the specters of poverty, disease, violence and malnutrition haunted their young footsteps. It was less of a tragedy for the boy who was born Walter Campbell Tetzlaff, who did manage to grow old (although not as old as fans of radio and animation would have hoped), he just never grew up. Little Walter began singing, dancing and doing impressions on the street corners at the age of seven, and with a name change to Walter Tetley, it was an easy step to Vaudeville, radio, and eventually Hollywood. He began developing his trademark "smart-aleck kid" persona while occasionally appearing on Fred Allen’s early shows like The Salad Bowl Review, The Sal Hepatica Revue and Town Hall Tonight. That Walter was 18 when he began working with Fred and playing the part of a ten or twelve year old may not have seemed like much of a stretch, but he was 23 when he moved to Hollywood in 1938, and still getting the same sort of roles. There is some supposition that Walter suffered from a hormonal disorder such as Kallman’s Syndrome, which prevented him from entering puberty. However, there were also rumors of a more bizarre and disturbing reason for Walter’s condition. The story goes that his mother did not want to lose the income that her child actor son was bringing into the house, so she had him rendered castrato, which was supposedly a common practice in sixteenth century Italy to supply male sopranos for chapel choirs. However, the barbaric practice has been outlawed in Italy since 1870, and there is no evidence other than hearsay that Walter’s mom would have ever considered such a thing. His move to Hollywood, like so many others, was with dreams of making it in pictures, but although his condition prevented Walter from gaining the stature of a maturing young man, age made him look, well, different. Too different for big roles in the movies. He did make several appearances as a smart-alecky bell hop or elevator operator, and although he was paid for his work and usually had lines, he was rarely on screen for more than 40 seconds, and hardly ever mentioned in the credits. The Hollywood radio industry was booming, however, and here voices were more important than appearances. He played Donald Duck’s godson on The Mickey Mouse Theater of the Air, and went toe to toe with some of the biggest comedians on the air, including Jack Benny and Fibber McGee and Molly. Walter’s big break came when Harold Peary’s character spun off from Fibber and Molly to become The Great Gildersleeve. Although Gildy had plenty of foils in Summerfield, few were as endearing or as exasperating as his nephew Leroy. With Gildersleeve bellowing "Leeerrooooyyy!" at least once in each episode, it was easy to forget that Leroy remained between the ages of 12 and 15 for thirteen seasons. 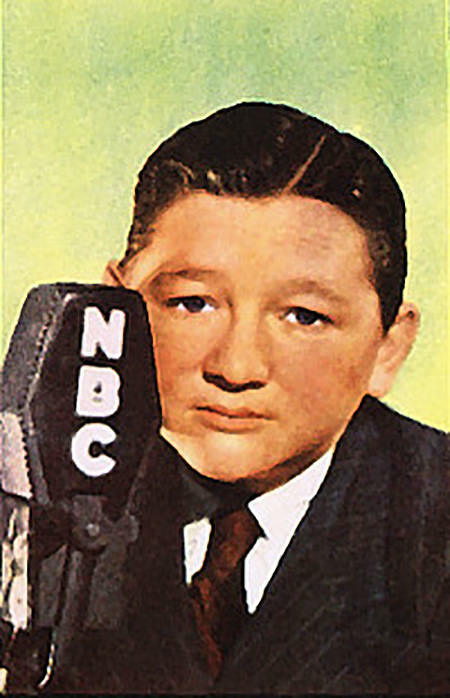 In 1947, Walter’s on-air persona was allowed to mature just a bit when he began giving zingers to Phil Harris on The Fitch Bandwagon, renamed the Phil Harris/Alice Faye Show when new sponsor Rexall Drugs took over in 1948. Here Tetley played the fresh-mouthed grocery delivery boy, Julius Abruzzio. Julius was probably between 16 and 18, and managed to continually best Harris and his sidekick Remley, although he did get somewhat flustered around Alice Faye who was the object of Julius’s unending crush. At least until the writers decided that marrying Julius to the Sponsor's Representative’s daughter was good for more than a few laughs. 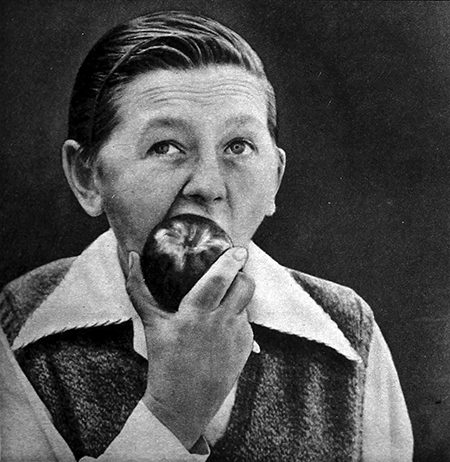 Although Walter was almost 40 by the time the show went off the air in 1954, Harris continued to refer to Tetley as "the kid who steals the show each week". 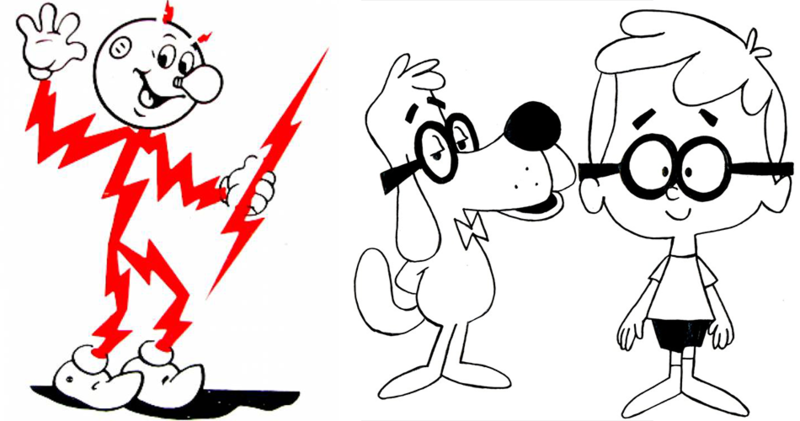 When TV began to eclipse radio in popularity, Walter managed to find work in cartoons, notably Andy Panda, and the genius dog Mr. Peabody’s pet boy Sherman on the "Peabody’s Improbable History" segment of The Bullwinkle Show. Tetley also voiced the character of Reddy Kilowatt in several electric utility PSA spots. Incredible child impersonator. I\'d never have known he was a grown man. It seems he had a glandular illness as a child that messed up his adolescence and his voice never matured, nor did he grow any bodily hair at puberty or indeed anytime after. It\'s a shame he didn\'t get many movie parts other than the odd Bellhop role - but he was fairly tall and looked older than his voice. But he owned all his radio parts, most notably in The Great Gildersleeve and the Phil Harris-Alice Faye Show. I think he had a condition of some sort. He had an unusual look. Kind of childlike but with wrinkles. I remember seeing him as the sneaky bell boy in Who Done It who tricks Costello out of a quarter by using tricky word play. He pops up as a bellhop in several Universal films around that time. The costume fit, and it was an easy days work. The great Walter Tetley. Now THERE\'S a man who could deliver a line!! Truly, one of the greatest radio actors of all.